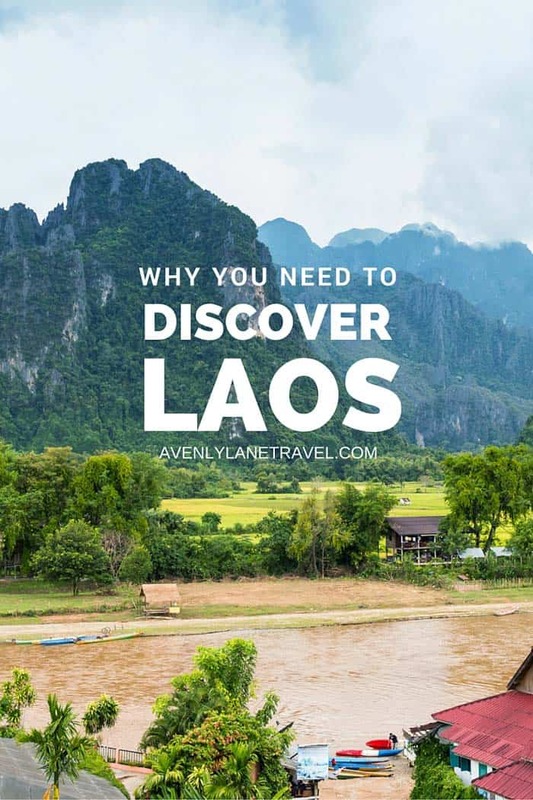 If you are like most people, then you likely know very little about Laos. 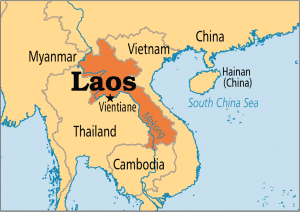 The most common things known about Laos are that it is a country in southeast Asia, and is one of five communist countries left in the world (Vietnam, China, North Korea, and Cuba are the others for those of you that were curious). In the 60’s Laos began a civil war where the country ultimately tore itself apart (aided by lots of bombing from the United States), and ultimately followed the example of Vietnam, ending up being led by a communist regime. This has continued ever since, which severely inhibited commercial development and closed Laos off from most of the world. Currently, I’m dying to go to Laos. This post is written based off of trips of a couple friends, but hopefully by the end of the year I will have the opportunity to go myself. 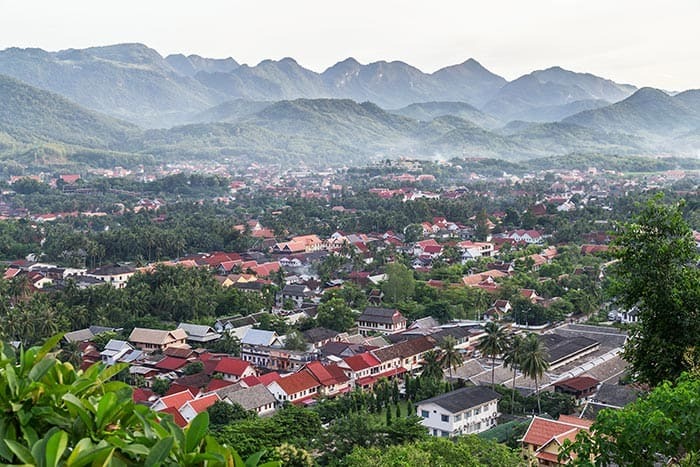 View of Luang Prabang, Laos from Mount Phousi. Religious statues at Wat Xieng Khuan Buddha park, Vientiane Laos. Laos now is an entirely different place than Laos was 30 years ago (for one westerners are actually allowed in). While they are still a communist country, they’ve gradually realized that in order for their country to progress, they have to abandon many of the principles of common ownership and embargoes on foreign investment (surprise-surprise, pure communism won’t work). This relaxation of pure communist ideals has finally begun to lead to growth, and in the mid 90’s, the borders were once again opened up to tourism. With tourism beginning slowly and still being a relatively recent phenomenon, the country is largely untouched by foreigners (and foreign development). Supposedly the most amazing thing about visiting Laos is that when you enter the country, you can immediately step back in time a couple hundred years. Village life and subsistence farming continue on as if modern developments like skyscrapers, electricity, and the internet do not exist. One amazing facet of Laotian culture is how incredibly laid back they are. Things just operate at a slower stress free pace. Friends attest that you can fully expect delays on your buses, longer waits in restaurants, and locals to stop and take the time to attempt to talk to you. Do not get frustrated by these things, and instead realize that this is part of what makes Laos such and incredible place. Make sure to take the time to tour Buddhist temples as they feature some of the most unique and beautiful architecture on earth. Also, try to find a respectful way to watch local monks engage in their ceremonies. Their practices and individual dedication is incredible. 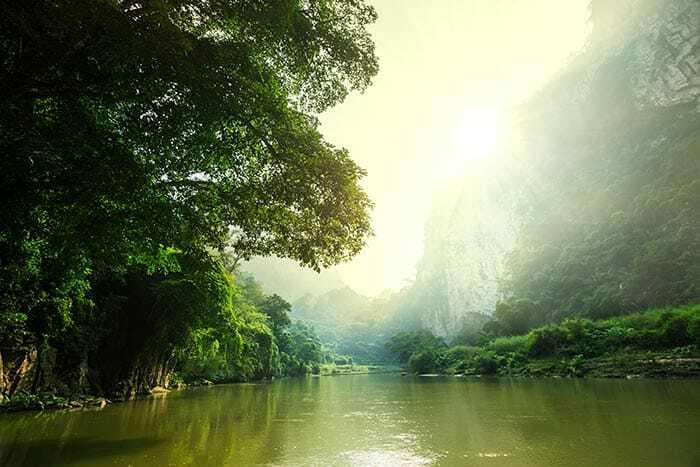 The natural beauty of the land cannot be missed, and adds to the allure of Laos. One thing reviews say is often missed is a kayak tour of the underground river caves. I don’t know anywhere else where you can find this combination of lush forest, humongous caves, and an underground river. 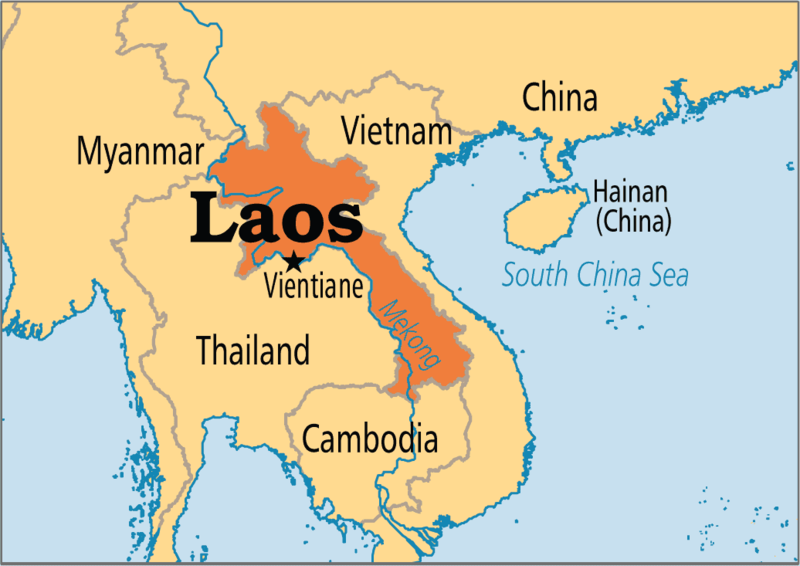 Make sure to get to Laos quick because the country is changing! International development and continued tourism growth will inevitably cause changes. Laos will always be worth a visit, but to see more of the incredible culture, one should go before it gets too late. Laos now has a Visa on arrival program for most countries, which only costs about $35 USD. You can fly into Laos, or take one of the many shuttles from Thailand or Cambodia. The USD goes a long way in Laos, and goods are cheap. Be sure to barter. The country is still led by a communist government, so be careful to not critique the government in any way. Crime is low, but corruption is high. Most infractions can be solved by passing on a couple USD. Many of the younger locals attempt to learn English in school, but proficiency is rudimentary and a communication barrier remains. Laos was ravaged by war, and is the most bombed country in history. (seriously, Laos!) Also, there are still many fields with active land mines, so be extremely careful and obey any signs closing off access to a field. Have any of you already been there? Any other tips for planning my trip? I love these informative posts! It’s really fun to be able to quickly learn something about the world! 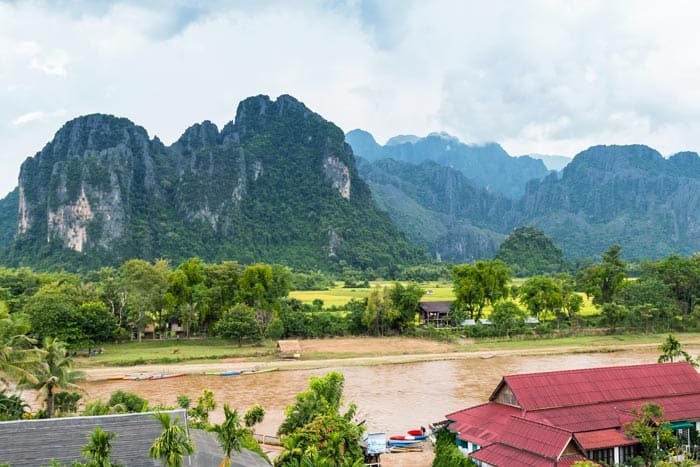 Aaaannnnd… Laos looks amazing! Thank you so much Alex! I was wondering if my readers would like these type of posts so it is good to know that you do! Yay. very interesting post! laos has been on the top of my bucket list for a few years now and i really hope to go soon! Laos is so amazing! I hope you get to go Caterina! Agree! I’ve been lucky enough to see Vietnam and Cambodia and both Laos and Myanmar are next on my list for SE Asia. Lucky!! I haven’t been to Cambodia yet and am hoping we get to go this year!! Myanmar is also on my 2016 bucket list! I was in Laos one year and a half ago and I loved it! It’s exactly as your friends described: slow life, nice people, beautiful landscapes. I preferred the north (the mountainous region) but the south is also beautiful and very different from the north. In the south, the Mekong river divides and there are many small islands. It’s also worth a visit even though it’s far. Myanmar is also in my bucket list! Such a useful post, thanks! 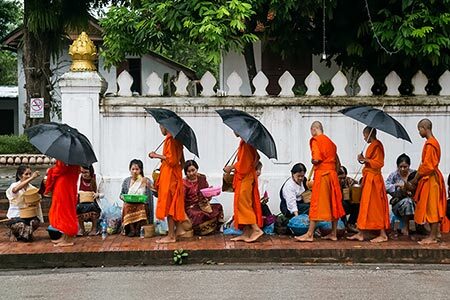 I’ve heard about the laid-back culture of Laos – it sounds and looks so peaceful. I can’t wait to go! I was in Laos this summer and really enjoyed it. In the south (Don Det and Pakse) you can go kayakking and see waterfalls, in the north (Vientiane, Vang Vieng and Luang Prabang) the cities are more modern and you can see temples, eat delcious food and visit museums. Thank you so much for the tips Stephanie! We are planning a trip in 2017 so I will have to keep that in mind. What time of year did you go? Sorry for my late reply. I was there last year in June! That is so exciting! Have a blast on your trip Lauren!